This support will help organisations ensure the quality and performance of their web, mobile and cloud applications as they transition to IPv6. The transition to IPv6 is likely to be a complex, mammoth and long-term exercise, the communications and information technology ministry said. 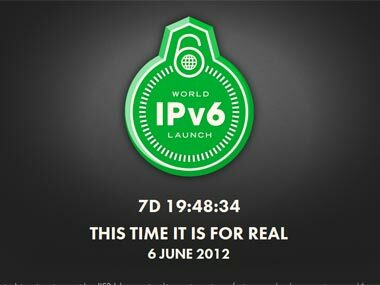 On the occasion of 'World IPv6 Launch Day', major ISPs, Networking Equipment Manufacturers, Web cos come together to permanently enable IPv6 for products and services.